A recall of the Prius would be a blow to Toyota's reputation. TOKYO -- Toyota Motor Corp., facing fresh complaints about momentary brake slippage in its Prius hybrid, now plans to recall the car in about 60 countries, including the United States, a Japanese media report said. The Nikkei business daily last week said Toyota had decided to recall the Prius in the United States and Japan. Now Toyota is planning to extend the fix to some 60 countries, including China, the Nikkei said Sunday. To fix the brake systems, dealers have to upgrade a computer program with software provided by Toyota, the Nikkei said. Toyota is currently devising recall guidelines for each local market. Japan's Transport Minister Seiji Maehara said on Friday he believed Toyota would take a unified measure on the Prius across the world. 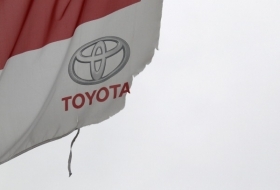 On Sunday, Japan's Yomiuri newspaper reported that Toyota had considered voluntarily fixing the cars but chose a recall instead in the hope of restoring public trust. An impending recall comes as Toyota battles fresh complaints that the Prius suffers from momentary lapses of braking capability, especially on slippery or bumpy surfaces. The automaker said Thursday that it conducted an on-the-fly software fix to address the issue. But the world's biggest carmaker didn't notify customers at the time of the change. And it was still uncertain how it would handle the thousands of Prius vehicles sold before the fix. The problem occurs in the third-generation Prius, which went on sale in the United States, Japan and Europe last year. Transportation agencies in the United States and Japan have been compiling complaints that the car's brakes give way under certain conditions. Since the launch, Toyota has sold about 200,000 of the new models in Japan, 103,000 in the United States and 29,000 in Europe. Toyota considered a voluntary fix for the Prius but chose a recall instead to restore public trust, a Japanese newspaper said. The U.S. National Highway Traffic Safety Administration opened its investigating of the problem saying it has 124 consumer complaints, including four reports of crashes and two of injuries. The phenomenon occurs mostly on slippery or bumpy roads. Complaints rose in December when icy conditions triggered more frequent application of anti-lock braking systems. News of the fresh investigation comes as the world's largest automaker struggles to rein in a recall crisis aimed at fixing incidents of sudden acceleration in some of its vehicles. Since last fall, Toyota has recalled 8.1 million vehicles worldwide – more cars than it sold last year. A recall of the latest generation of the Prius would be another blow. The green halo surrounding the popular hybrid is largely credited for Toyota's image as a leader in environmentally friendly technology.